Newly appointed First Soloist of the Royal Ballet Beatriz Stix-Brunell débuts as the Sugar Plum Fairy tomorrow, 27th December. She speaks of her preparation for the role, from coaching to putting her own stamp on the iconic fairy and spills details on how she prepares her pointe shoes for performances. The Sugar Plum Fairy is a quintessential ballerina role that requires ease, technique, and stamina. It culminates in one grand pas de deux that magically appears at the end of act two. I’ve done a number of principal roles in my time here, whether it be in triple bills or in full length ballets, but this is for me the first grand pas de deux “tutu” ballet —one of the art form’s most beloved roles. I’m excited and honoured to be given this opportunity. The role is technically difficult, but the Sugar Plum Fairy is also pure magic. It captures the childhood enchantment of the holiday in a grown-up, feminine way. She embodies love, elegance, and a sprinkling of sparkle and sweetness, portrayed not only through Sir Peter Wright’s luscious choreography, but also through Tchaikovsky’s iconic score. It’s set to one of the most beautiful pieces of classical music in the ballet repertoire and captures you from the moment the doors of the Kingdom of Sweets open and the Fairy walks out onto the stage. But of course I can’t talk about the Sugar Plum without acknowledging her prince! One of the best parts of this role is getting to share the stage, the story, and the music with my cavalier. There is something hauntingly romantic about this pas de deux melody, so the Sugar Plum Fairy is lucky to be able to indulge in its beauty in the hands of her Prince. I try to remember that for many in the audience, The Nutcracker is the first exposure to a full length ballet. It’s time-tested and iconic. The Sugar Plum Fairy is a magical role, and I’ll try to be respectful of the role’s origins but also put my own little stamp on it. Interestingly, there’s no developed story line for the couple – they seem to connect almost randomly in the last segment of the ballet – so I hope to establish a real connection between them early on which is a prelude to the magical journey. Sir Peter Wright’s choreography masterfully meshes with Tchaikovsky’s brilliant score. I try to replicate the celesta during the opening sequence of my solo. It’s dreamy, feminine, and ethereal. I try to dance it that way. Not long – all dancers have been in The Nutcracker forever. It’s part of our mental calendar. When the leaves start falling, it’s that time! I knew a lot of the basic choreography going in, but I was unfamiliar with some of the minute yet important details: how many steps before a lift, how long to hold certain poses and arm positions, and some spacing technicalities. The little nuances might seem persnickety, but they’re important in creating the enduring spectacle that is the Nutcracker. Soloist Nicol Edmonds is my partner. We danced Olga and Lensky in Onegin a few years ago. We get along well outside the studio, which helps with the energy and rapport on stage. We speak honestly, listen, and trust each other. Darcey Bussell and Christoper Saunders… enough said! They’re extremely accomplished dancers and brilliant coaches. Darcey’s corrections are spot-on, and Chris is great on the subtleties of male technique and partnering. There are also some light moments. For example, a couple weeks ago Darcey and Chris demonstrated an intricate section of the pas de deux in full street clothes, full focus and full feeling, and are greeted with hearty applause – and laughter – by all in the studio. Which of course made them chuckle, and I’m thinking to myself that they seem as fresh and fit now as when they were stalwarts of the company. There’s a moment in the grand pas de deux when the music climaxes and the choreography accompanies the swell of instrumentation perfectly. The Sugar Plum Fairy runs up to her Prince and jumps onto his shoulder from a distance – an absolutely thrilling moment like lock and key; the fit of the choreography and score is perfect. I always get emotional when I rehearse that bit…. A couple things to share for non-dancer folks here. One is that our feet are typically aching. The second is that shoes matter – and we’re all a bit nutty about them as they reflect our personal quirks and feel. 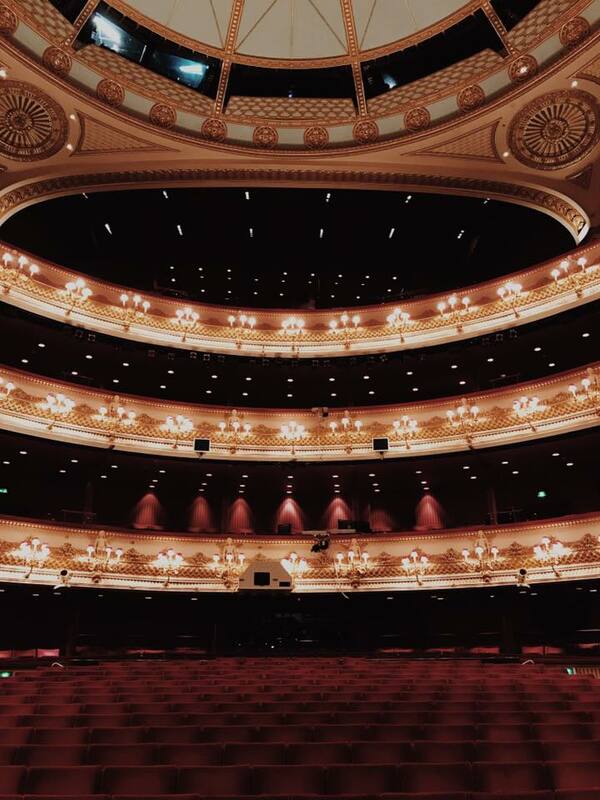 At the Royal Ballet, we’re lucky in that each dancer receives custom made shoes designed for the shape and strength of our feet. I wear a hybrid shoe of Bob Martin and Bloch. Carefully(!) shave down the outside and bottom of new shoe sole with sharp Stanley knife. I like having a thin base to feel the floor. Sprinkle water to soften the box of shoe, which like the insole starts off rock hard. Step – not stomp – on the box of the now wet shoe. I try to push my heel onto the bunion spot to make a little extra room. Bend shoe around the arch, or ‘shank’ as it’s called, so that it pointes easier with the shape of my foot. Sew on my good luck cloth ribbons from student days at the Paris Opera Ballet School. They’re old but they’ve served me well. Firmly slam the tips of the shoes against a concrete wall. This is not done in rage – I find it makes them quieter on stage. There are moments in the pas de deux when the music builds alongside some exciting lifts. I’ll try to match the orchestral surges with energetic legs and footwork. There are also some lovely tender bits between the Sugar Plum Fairy and her Prince which I think at times get lost in the splendour. And what of The Nutcracker as an iconic Christmas ballet? The Nutcracker has become a festive season staple because it allows people to come together and enjoy a magical and timeless story. For many families, a trip to experience the Nutcracker has become a part of their holiday tradition. Elizabeth McMeekan (Ex-Royal Ballet dancer and founder of Everybody Ballet—whose goal it is to make ballet accessible to a broader audience) said it best – that “the Nutcracker is the eternal fantasy of Christmas come to life onstage.” What could be better than celebrating this by sitting in the perfect jewel box of a theatre and watching the magic unfold to a flawless score?